Welcome to two new team members at D+S. Adam Small (left) and Tobi Omowo (right). Adam is the latest Quantity Surveyor Edinburgh Office recruit. Adam worked on the V&A Museum at Dundee – an impressive project to have on anyone’s CV! 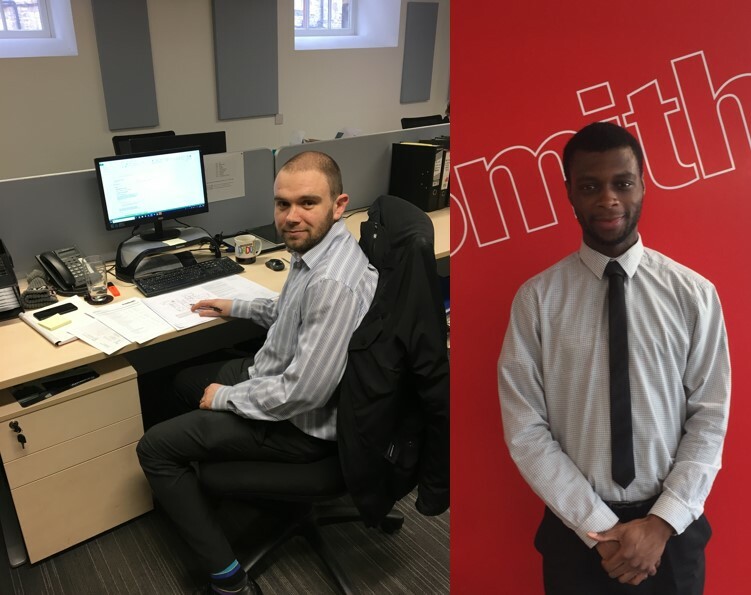 Tobi has joined the London team as a Trainee Surveyor from Kingston University where he is completing his third year in Quantity Surveying.